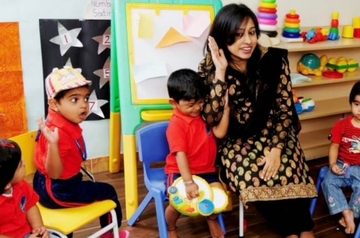 Scope: Demand is much higher for centres focusing on the holistic development of children. Expected Revenue: This widely varies depending on the location, number of students and the support system. Growth Prospects: As an industry average you will always run on profit in the subsequent years. A daycare/crèche can be the right business opportunity for women, especially who have a passion to take care of the young ones. Most of us either have our own kids or the experience of raising them, and that is the required skill. If you love children, starting a daycare centre is a smart business choice. With a daycare business, you can go small, by having a home daycare, or big, by using a commercial space with several different classrooms. Starting a daycare centre requires you to have patience with children of varying ages, the ability to communicate effectively with parents and the dedication to run a small business. Providing quality is essential to running a successful business. What Would My Day Look Like? A crèche or a daycare centre can be for any age group of children ranging from a few months to 10 years old, depending on one’s convenience and of course market demand. The working hours also need to be similar to the office hours. As that’s when working parents need care support for their children. Taking a hands-on role in your daycare centre will contribute to the success of your business. Take time to play with the children, read to them during story time, help prepare snacks and meals and monitor nap times. In addition to being involved in the day-to-day tasks, you also need to be able to plan daily routines and curriculum around a regular schedule of playing, eating and sleeping. Keeping things organized is also important. All of this needs you to have a detailed understanding and get proper certifications. In some countries, certificates for first aid, pediatric CPR and a prescribed number of child development training hours are required to ensure the safety of the children you are caring for. Most often, no or few permissions are required to open a daycare in India. But we recommend that one should get trained and certified to ensure that all ends are tied. Please give me list of certificates required to open a day care centre in India.